Combine your new freestanding bath with our Alison Cork Freestanding Bath Tap with Shower Mixer to create a luxurious look. Featuring cutting edge design, this freestanding bath tap is manufactured from solid brass and coated with a stylish chrome finish. 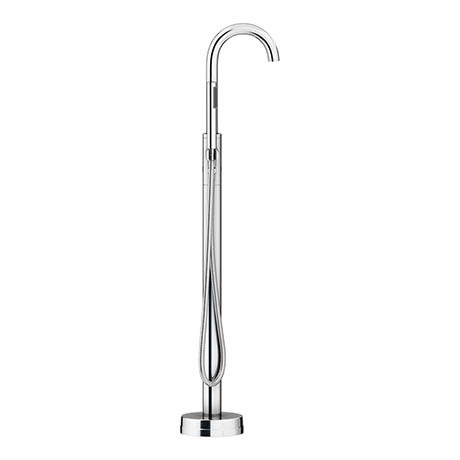 This beautiful freestanding tap features a curved swivel spout making it both flexible and elegant. Suitable for system pressures of 1.0 Bar or greater, it's complemented by a single lever handle that gives fingertip control water flow and temperature.